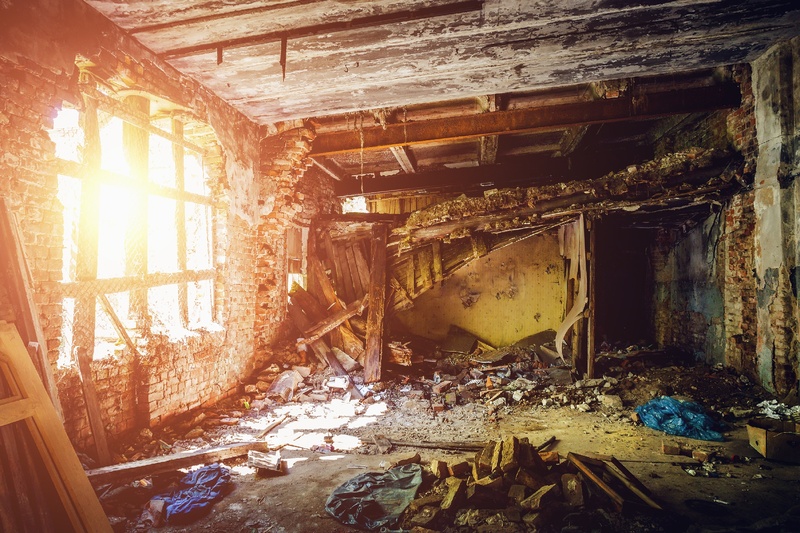 Avoiding potential code violations caused by rental property damage. The question many rental property managers have after a disaster is: “How can I restore my rental property as soon as possible?” While some property managers fish through a list of “Property restoration experts near me” search results on Google without much help or guidance on what to look for, there is more to post-disaster property restoration than hiring a local restoration company (though, that is important). Disaster recovery is expensive. Hopefully, your rental property insurance policy can help cover most, if not all, of these costs. The challenge is that insurers need to make money too—so they may not pay out on a policy because you only have an estimate for damages. The insurer needs to know the exact extent of the damage, see proof that the damage was caused by an event covered under the insurance policy, and that the repairs conducted were necessary for restoring the property to working order. Collecting any pertinent police/first responder reports and public records of the event that damaged the rental property. Long story short, the more documentation and evidence you can provide to your insurer to support your claim, the easier it should be to collect on your insurance claim—assuming the damage is covered. The Homee On Demand property maintenance solution can help with documenting your property restoration expenses. The solution offers to-the-minute tracking of labor as well as an itemized list of materials that the maintenance technician working on the repairs orders for their work. This helps for when you’re preparing to submit an insurance claim for your property maintenance costs. Many property managers skip straight to searching Google for a “restoration professional near me” as soon as they discover severe rental property damage. However, just because a company ranks high on the Google search page does not mean that they’re the best property restoration company for the property manager’s needs. In fact, if the event causing the property damage was on a large scale (such as a major flood, earthquake, or hurricane), odds are the top-listed restoration companies will be flooded with calls for disaster recovery services and be too busy to perform maintenance for a long time. This is inconvenient for property managers who need to quickly restore their rental properties to working order. However, a property maintenance solution such as Homee On Demand can make finding trustworthy and qualified property restoration experts faster and easier. This is accomplished by leveraging a massive network of pre-screened professionals in the fields of plumbing, electrical systems, HVAC, and general contracting to find the right people for specific restoration tasks quickly and efficiently. Once a property maintenance/restoration request is submitted through the Homee On Demand solution, it is sent to the network of nearby technicians who have been pre-qualified to take the job. So, rather than vetting individual companies one by one to see if they meet your needs, your job is automatically sent out to thousands of pre-qualified pros (or “Homees”). You can even set a “not-to-exceed” budget limit for parts and labor to help control your disaster recovery costs. However, if this is set too low, then a Homee might not be able to accept the work. Property Restoration Tip #3: Don’t Forget about Your Renters! While dealing with disaster recovery can be inconvenient for property managers, it can be an outright nightmare for renters. Depending on the severity of the rental property damage, renters may not be able to reside there until repairs are complete. Help Renters Find New Temporary Housing. While the property maintenance experts are working to make the rental property livable again, it’s important to help the renters find new lodgings to tide them over during the transition. By providing help here, property managers can demonstrate to renters that their comfort and safety is a top priority. This, in turn, helps to build a positive relationship and goodwill. Create Safety Plans and Ensure Renters Know Them. As noted by Forbes in an article on how to minimize risk for property managers following a natural disaster: “Maintaining tenant safety is the top priority when a natural disaster occurs.” Having such plans in place can help renters stay safe during a disaster by apprising them of evacuation routes and different paths for exiting the building if it is damaged. However, it’s important to communicate these plans to renters to ensure they know the plans exist and can follow them. One way to improve awareness is to send reminders every now and again—especially during times of the year where certain disasters are more likely to occur. It also helps to create different plans for specific types of disasters. Exchange Contact Information with Renters. Sometimes, simply being there for renters is the best way to support them and build a positive relationship. So, before a disaster occurs, be sure to exchange contact info, such as cell phone numbers and email addresses, with the renters and let them know that you’re available if they need anything. Also, if a disaster strikes, be sure to proactively reach out to them and offer what support you can, such as helping them find lodging while repairs are completed. Minimize Delays in the Disaster Recovery Process. The longer it takes for your rental property to recover from damage, the worse the impact will be on renters—and on your bottom line (since renters may need to be compensated for the time they could not occupy the rental property). So, doing what you can to ensure that rental property damage is remediated as soon as possible is essential. Here, an on-demand property maintenance solution such as Homee On Demand can help streamline the process for finding and hiring trustworthy maintenance technicians. Need help recovering from rental property damage quickly? Talk to a member of the HOMEE team to learn more about how on-demand property maintenance can improve your disaster recovery efforts today!